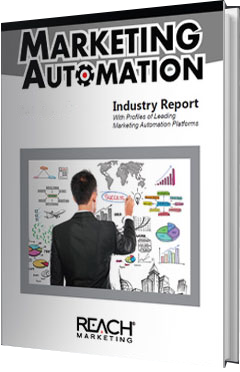 Download our Marketing Automation Industry Report—the most comprehensive analysis in the industry. Learn the essential features of marketing automation. Understand the factors driving the growth of marketing automation usage. Gain insights into how your peers are adopting this technology. View profiles of leading vendors including Act-On, Eloqua, Marketo, Pardot and Hubspot. Get valuable tips on choosing the right marketing automation platform. See an Industry Growth Forecast. What is your role in the purchase decision?